on top of my village so we get snowed in until at least Tuesday! I can let the horses go and play in the snow while I go down the pub for a few drinks and eat a Chinese! So if the snow gods are listening, lots of snow here please! 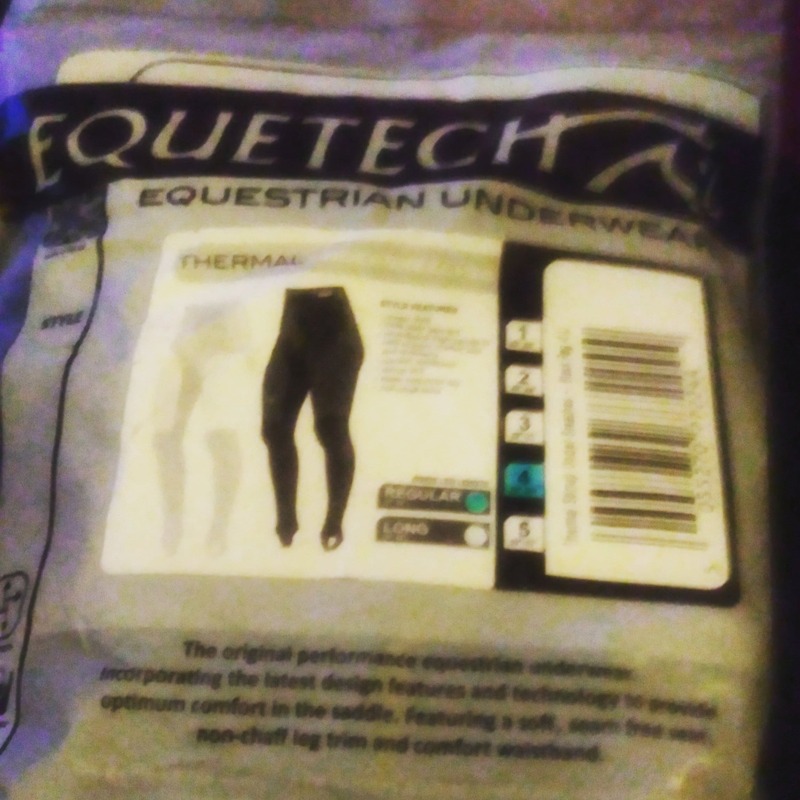 Whether or not we get the snow, the cold conditions provide the perfect conditions to give you a good review of my new Equetech Thermal Underbreeches from Equus. So you can probably expect a review of these breeches during the week or possibly next weekend. 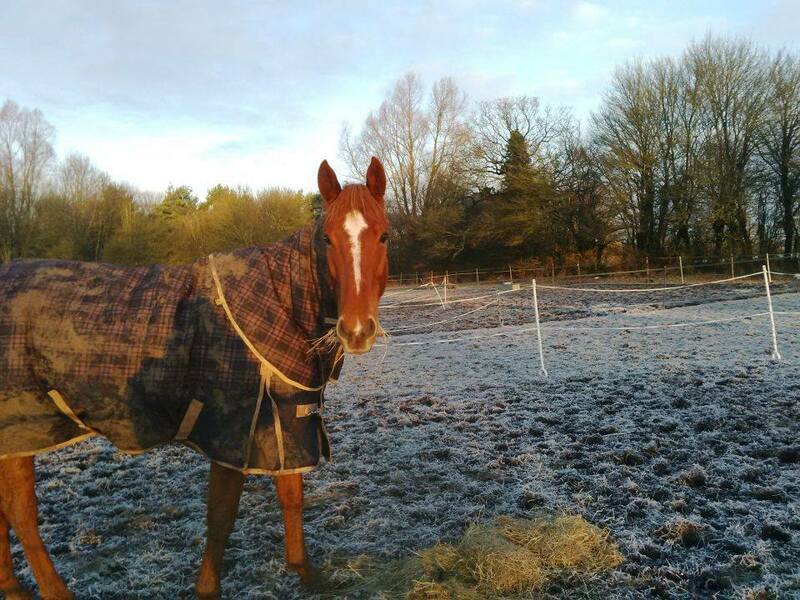 If the village isn’t snowed under, tomorrow we will be having a visit from an Equissage rep. I saw him advertising FREE visits on Facebook a few weeks ago and since I still have my poor student mentality, I jumped at the suggestion. I am not 100% what this visit will be, but I’m assuming it will be a demo of their massage rug on Scottie and a talk about the benefits and why I should buy one. So you can expect to hear about that next week too!